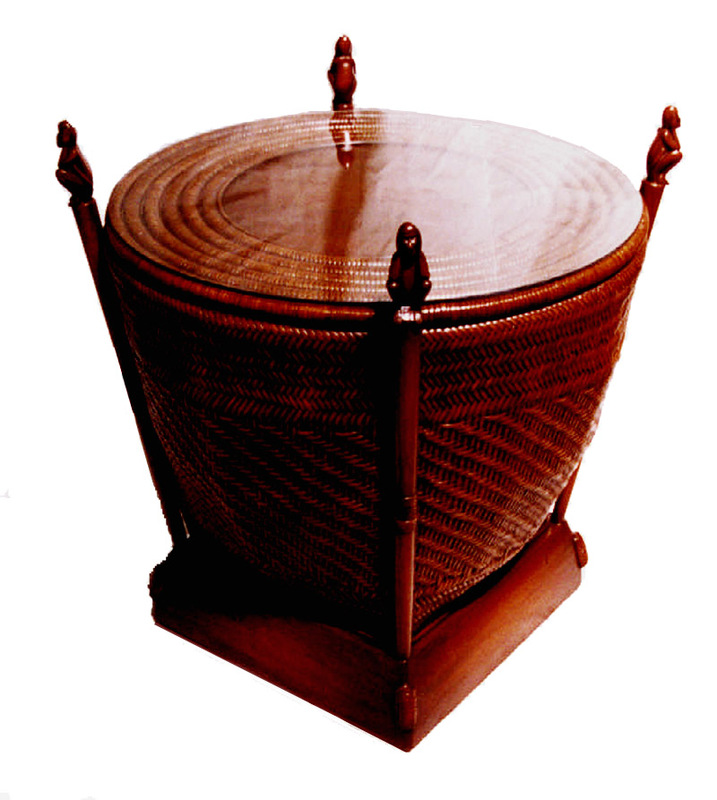 Rattan frame with woven cane. Wood base, top and carved monkey details. Shown with optional glass top.